In his Friday Sermon of April 27, 2012, Khalifatullah Hadhrat Munir Ahmad Azim Sahib of Mauritius (atba) continued his discourse on the significance of leading a full life in this world. Good deeds form half of the Faith. Believers are to diligently pursue their noble objectives on every single day of their lives. One must rank one’s priorities and set objectives in terms of importance and try to accomplish each of these tasks in the required time. The main duty or sacred duty (Farz deed) must be fulfilled before performing a supererogatory one, and this is equally valid for other cases. ‘Exploit (your) time fairly and effectively’ and ‘not be among the thoughtless and forgetful’, exhorts the Messenger of Allah of our times. “...There is no favour to any particular person where time is concerned. This is because the latter is split equally between men. But some have more merit in how to manage, operate and profit from it. Allah (swt), who evaluated time, and shared it among His servants, distinguished some moments that are better than others. In terms of ritual actions, Allah (swt) has spared some time for the seasons where expected rewards are increased, as the month of Ramadan and the first ten days of Dhul-Hijjah. Other moments are more favourable to the fulfillment of prayers, as the last third of every night, every Friday afternoon, the breaking of the fast for the faster, and the sacred night (Laila-tul-Qadr) in the month of Ramadan! Every day you have before you a moment in the morning, a moment in the evening and another at dawn, where you can raise your pure mind to the heavens to win both favours of this world and the hereafter. Before you, there are the seasons of the submission, the days of meditation and nights of sacrifices, to which you refer to the Holy Book (the Quran) and the teaching of the Holy Prophet (peace be upon him). Try then to be among those who remember and call on their Lord, and not be among the thoughtless and forgetful. Be those who act, not of those who laze. Enjoy your time, time is like the sword, and neglect procrastination because there is nothing more harmful. What Ails Islam Today ? Enjoining good and forbidding evil is one of the primary obligations of the believers in Islam. It is indeed a very firm pillar of Islam upon which the branches of faith are held. Yet today, the different groups within the Ummah have turned this pillar of faith on its head. They viciously compete among themselves for forbidding good and enjoining evil. They leave a trail of blood of fellow Muslim brothers murdered in the streets and even in the Mosques. In his Friday Sermon of April 13, 2012 Khalifatullah Hadhrat Munir Ahmad Azim Sahib (atba) of Mauritius continued his magisterial survey on the spiritual ailments that afflict the Islamic world today. ‘True Muslims have become rare’, observes the Messenger of Allah. Drawing upon the sacred traditions of the Holy Prophet (sa), the Khalifatullah shows how the Ahmadiyya Community and the wider Islamic world have drifted away from the quintessential spirit of the religion. Therefore, from these two Hadiths which I have put before you, it is clear that when you leave this message which is to be put into practice, that is “Amr bil Ma’ruf wa nahi anil Munkar” (Enjoin good and forbid evil), it is a fact that this is the primary reason which has brought about the wrath, displeasure and curse of Allah (on Muslims). The task of real spirituality is to restore the sublime faith in Allah the Almighty and to reflect the Divine attributes through the moulding of purified individuals. Islam perfected and preserved in itself the purpose of all religions which preceded it by recognizing the divine revelations of the past. Further, it channelized the continuity of Divine revelations through itself for all times to come. Leading the world on spiritual purification was the heavy responsibility cast on the shoulders of the Muslim Ummah by the Creator of the Universe. Contemporary Muslim leaders have failed to recognize the extraordinary magnitude of the task, nor could they preserve the solid faith of the early Muslims. In his Friday Sermon of April 06, 2012 Khalifatullah Hadhrat Munir Ahmad Azim Sahib (atba) of Mauritius continued his discourse on the ways in which true faith has deserted the present day Muslims. 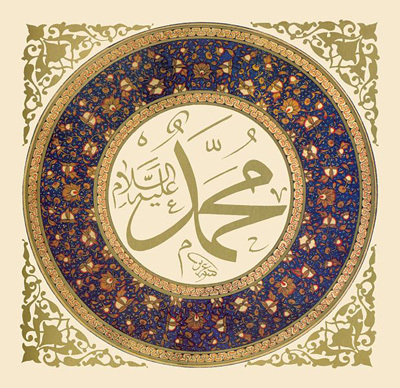 Drawing upon the prescient prophecies of the Holy Prophet (sa), he sketches the causes of spiritual decline. The preservation of the true faith and real spirituality is a Divine Promise engraved upon the Holy Qur’an by Allah the Almighty Himself. At a time when the sectarian divisions have proliferated among Muslims and the spirit of Islam has gone away from the life of Muslims, the raising of a Khalifa by Allah- Khalifatullah- is in tune with the enduring Divine practice. Like I explained in my sermon last Friday, history has proved that the first Muslims reached the highest degrees of honour and glory whereas Muslims today have taken the opposite route. It is clear according to these verses that the first Muslims reached such a dignified status in life because their faith was solid and they had excellent character. Early Islam produced men of outstanding ability, extraordinary drive and exemplary personal initiative. They were willing to sacrifice their all for the progress of their deeply held convictions, in the service of their faith. This in turn brought the Muslims victories over victories, successes over successes, grandeur and power which lasted for many centuries altogether. On the contrary, “the deeds of the Muslims (of the present times) have become a big dark spot on the exemplary performance and exceptional exploit of the first and true soldiers of Islam”. The contrasting fortunes of Muslims of the past and of the present have invited considerable scholarly attention in recent times. In his Friday Sermon of March 30, 2012 Hadhrat Khalifatullah Munir Ahmad Azim Sahib (atba) of Mauritius profoundly reflected upon the lamentable spiritual conditions of the Muslims today and prescribed the spiritual medicines essential for reviving the fortunes of the Community. We are nowadays in the Islamic year 1433 After Hijra. 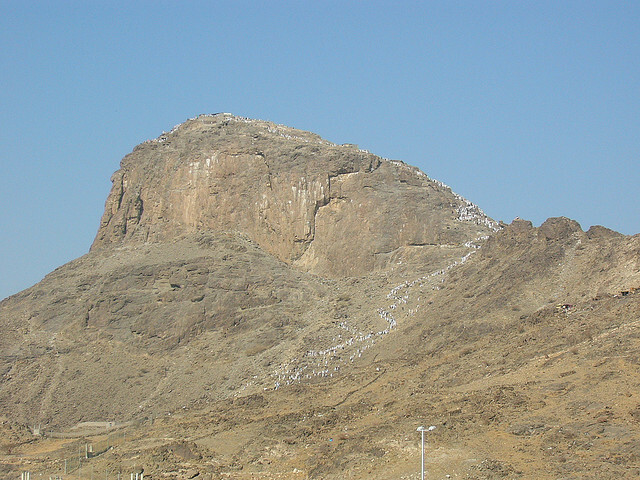 When we analyse that when the world was plunged into the darkness of ignorance, sins and immorality, a light of true knowledge and guidance (that is, the Holy Prophet Muhammad-sa) made its appearance in the horizon amidst the rocky mountains, Batha (the name of the small mountains surrounding Mecca). Its rays went beyond all boundaries, be it in the east, west, north and south, and these rays (of that divine light) illumine each corner of the earth. In the limited period of twenty-three years, this light leads the way so that people accede to such elevated honourable stations which had not been reached before. It has brightened the Muslims and created in them the profound desire to follow the true message that should guide them in the future towards success. When they followed the true path, guided by this light, the Muslims won victories over victories, successes over successes and they reached the highest position of honour in history. For many centuries, they reigned over the world with grandeur and power. No (non-Muslim) leader of their time could have got the courage to face them, and if someone did attempt to do so, they risked leading themselves to their own destruction. [Inset: Mughal Emperor Muhiy-ud-Din Aurangzeb Alamgir (1618-1707). His empire at its zenith spread over the whole of modern South Asia and Central Asia- India, Pakistan, Bangladesh, Afghanistan, parts of Iran and Uzbekistan and Tajikistan and one-fourth of the then world population lived under his rule. 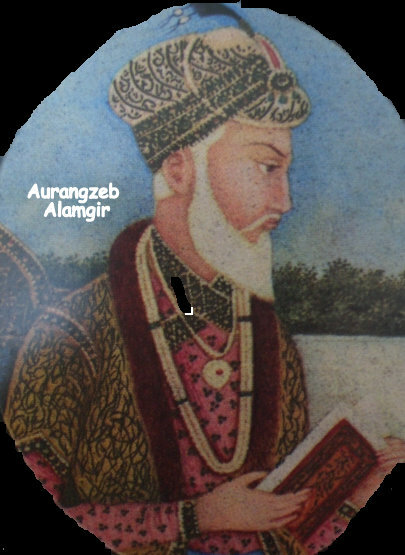 Historians testify that Emperor Aurangzeb inflicted such fear in the minds of the foreign elements trading in the waters of India that it took the British more than a century and a half to consolidate their hold over India even after his death]. This is a historical truth which nobody can ever erase. But it is sad to see that these days this historical truth has become an old tradition, an “ancient story”, only good to be told (for a short time), and which appears farfetched for modern times, especially in our present times whereby the deeds of the Muslims have become a big dark spot on the exemplary performance and exceptional exploit of the first and true soldiers of Islam. After we are all gone! 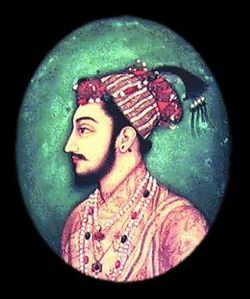 -so ruminated the famous medieval Mughal Prince Dara Shikoh in one of his philosophical writings. Death is inevitable and unavoidable; it brings the curtain down even on the lives of the high and the mighty. A profound awareness about the vanishing of all our human agenda in this transient world may give one a sense of perspective on what to value and cherish and what to ignore and avoid. As a spiritual order, Islam offers profound guidance on how to practically navigate our time in this slippery universe. The Prophetic traditions underscore the accountability of one and all to Allah the Almighty for all the blessings He graciously bestows on us. Believers ought to live with a wider consciousness and awareness about their manifold responsibilities and immortalise their days with the best of works. In his Friday Sermon of April 20, 2012 Khalifatullah Hadhrat Munir Ahmad Azim Sahib (atba) of Mauritius profoundly reflected on some of these themes. Life is transient and the lost moment never comes back. So, value your youth and health and knowledge and wealth before it all fades away. Respect your time and do good deeds so that the journey to the Hereafter becomes agreeable when it comes, exhorts the Messenger of Allah. “It is a divine blessing to have the heart rid of all afflictions and likewise to have the body free from all diseases. However men are deprived from this, as it is evident from this saying of the Holy Prophet (sa): “There are two blessings in which people are cheated: health and leisure time.” Thus, the Holy Prophet (sa) refers to people's attitudes to these two favours. They do not value them as they should; so much so that their free time is lost without being operated for the benefit of the affairs of their religion and their lives. That is the worst loss. To urge the Muslim to enjoy his free time, to exploit every moment of his life and not to waste it, the Holy Prophet (sa) said “the feet of any human being will not move (from their place before the Lord) on the Day of Resurrection, before he answers to four questions: 1. What did he do during his life? 2. On what has he spent his youth? 3. Where has he earned his money and how did he spend it? 4. What has he done with his knowledge? As for his words: “take advantage of five things before five things: your youth before your decrepitude, your health before your sickness, your wealth before your poverty, your leisure time prior to your occupation and your life before your death”, it is a clear allusion that the Muslim must use time while it is still in full possession of his means, as he is still young, rich and available and before age, disease, poverty and worries affect him. By the grace of Allah, the Jamaat Ul Sahih Al Islam of Kerala conducted a one-day spiritual camp at the historic Noorul Islam Masjid at Mathra for the benefit of its members on April 6-7, 2012. With the arrival of our brothers and sisters at the centre of the Jamaat in the morning, formal registration of delegates began at 10.00 am. At 11.00 a.m. members gathered in the premises of the Masjid for an hour-long Waqar-e-Amal Programme, to clear and clean up the surroundings of the Noorul Islam Masjid. From 12.30 to 1.45 p.m. Namaz-e-Jum’ah was performed. For the occasion, Amir of the Kerala Jamaat Mukarram Jamaluddin Sahib chose the latest Khutbah of the Khalifatullah Hadhrat Munir Ahmad Azim Sahib (atba) which was delivered on March 30, 2012 and later led the prayers. After lunch break, brothers assembled again at the Masjid at 3.00 p.m. the Amir Sahib led an hour-long study session on the importance of Dawa and the necessity and significance of Bai’at. Quoting profusely from the Holy Qur’an and the Ahadith, Amir Sahib made a profound case for standing united under a Divinely-raised Khalifa (Khalifatullah) for the progress of Islam and humanity. He cautioned against the perils of keeping away from Bai’at once Allah sends in His representative with a mission to unite mankind. After the speech, all brothers had tea and snacks and a general conversation was ensued with the honourable guest, the Soufi Sahib, Shahul Hameed Sahib. After Maghrib prayer, the Siraj Makin programmed their meeting. Moreover, Amir Jamaluddin Sahib addressed the gathered members on the importance of the times in the history of the Jamaat - with a Mubahila being signed with Abdul Ghaffar Janbah Sahib of Germany. He underscored the importance of reciting the special prayers taught by Hadhrat Sahib (atba) in this connection and the need to perform Tahajjud prayers on a regular basis invoking special blessings of Allah on the Muhyuiddin and for the Jamaat in general. He also spoke about the importance of carrying on with Dawa activities on a sustained basis. At 4:30 a.m. members assembled for the Tahajjud Prayers and later, around 5:45 a.m., Namaz-e-Fajr was offered collectively. Amir Sahib led a study session on verses of the Holy Qur’an and some Ahadith on the occasion. After breakfast at 8:00 a.m., visiting members went back to their respective places. Alhamdulillah, the assembled members left with a feeling of spiritual nourishment and renewal. On this occasion, a video recording was made of the event along with photos. Spiritual history is replete with deep and profound ironies. Whenever Allah the Most High raises a Messenger of His, leaders of the society will reject him. The elite of the community will vehemently oppose him. Only a very few, relatively materially-poor and humble in spirit, will accept the Divine Messenger. This small band of believers will go on to undertake extraordinary sacrifices in pursuit of their deeply held convictions. They will display nobility of character against all odds and in the face of adversities, eventually to emerge as the shining stars in the darkest of skies. Jamaat Ul Sahih Al Islam of Kerala today straddles this path of sublime spirituality. In spite of their small numbers, modest economic conditions and adverse social circumstances, members of the Jamaat in Kerala compete among themselves in the spirit of financial sacrifice and to show perfect obedience to the words and wishes of the Messenger of Allah. In his Friday Sermon of 30 March 2012 and also on April 06, 2012 Khalifatullah Hadhrat Munir Ahmad Azim Sahib of Mauritius (atba) took note of the spirit of sacrifice and obedience being displayed by the Kerala Jamaat. Before ending my sermon, I wish to address all my brothers, sisters and children in Kerala. First of all, Assalamoualaikum Warahmatullah Wabarakaatuhu (May the peace, grace and blessings of Allah be upon you). It is my humble prayer that Allah keeps you in good physical and spiritual health always, give you long life and increase your wealth, Insha-Allah. The Jamaat Ul Sahih Al Islam of Kerala has made extraordinary efforts in the field of financial sacrifice, only for the pleasure of Allah in the 72 hours which has just went by. From among the existing Jamaats in several countries, the Jamaat of Kerala has excellently done “Fastabikul Khairaat” (vying each other in good deeds). By their deeds, they are reviving Alhamdulillah the great sacrifices of the Sahaba Karaam in the times of the Holy Prophet Muhammad (peace be upon him). Despite their meagre financial positions, the Sahaba Karaam used to go and work in the market only to receive some money to put in the hands of the Messenger of Allah (peace be upon him) to spend in the path of Allah. They have done this with joy in their hearts despite not having any food at home or adequate clothing. For them, Allah and His Messenger (peace be upon him) came first. Their sacrifices were such that Allah the Almighty blessed them and this blessing made them reached the peak of glory today, spiritually speaking. With the advent of this humble self, the humble servant of Allah in this era, whereby Allah has raised me with a Jamaat, Jamaat Ul Sahih Al Islam, that beautiful spirit of sacrifice shown by the Sahaba Karaam has been awaken today in Kerala despite their difficult financial situations. Nevertheless they did not hesitate to say “Labbaik” to the Khalifatullah of this era.